Below you will find a plethora of online digital resources, also known as databases, that will help you find information for class assignments, research projects, and personal projects. Several of the digital resources listed below require a special login. You can access the Lovejoy logins for each resource HERE. You will be asked to login to your Lovejoy Google account in order to access the spreadsheet. MLA Citations Got You Down? Check out the helpful resources below! Look up definitions, synonyms, antonyms, and determine the best word to use in different situations. Search encyclopedia articles, view primary sources, access interactive resources, read about current events, search biographies, use the world atlas, and read How To articles specifically for high school students. Save articles for easy access. Citation information available for all articles. Search encyclopedias and specialized reference sources. Highlighting, note-taking, and audio features are available for all articles. Save articles for easy access. Citation information available for each article in all formats. Search journals, primary sources, and books. Create a unique login to save citations and full-text articles. Organize materials and citations by project or assignment for easy access. Access videos, interactive games, lessons, interactive mind-maps and more on a variety of topic(s) for all content areas in Spanish. Get access to Spanish- and Portuguese- language scholarly journals and magazines. This resource offers a wide range of content both from and about Latin America. Access full-text newspapers and search articles instantly by title, headline, date, newspaper section, or other fields. InfoTrac is a one-stop source for current news and searchable archives. Access news, magazine, and periodical articles across a wide range of general interest topics and academic disciplines. With millions of articles available in both PDF and HTML full-text, you are sure to find the information you need. Access peer-reviewed full-text scholarly content across the academic disciplines. Articles are available in both PDF and HTML full-text. Access original scholar signed essays on the lives and works of authors from around the world from all time periods. Entries include concise essays, citations, and bibliographical information that places the author and their works in personal and historical context. You can research authors and their works, literary movements, and genres with this digital resource. Access 140,000 full-text poems, 800,000 poem citations and excerpts, 7,100 full-text short stories and novels, 3,800 full-text essays, 2,000 full-text speeches and 1,700 full-text plays. This digital resource also includes biographies, work summaries, photographs and a glossary. Teachers, access academic journals, reports, and many premier reference sources in the field of education. The database includes content in key subject areas including administration, bilingual education, child development and psychology, funding, health education, technology, and testing. The majority of the full-text titles included are also found in the ERIC database. Access online versions of professional education books written by top authors and researchers. The links below lead to online resources for royalty-free photos, images, and music you can use in creative projects. You still have to cite the source for the image or music being used, but do not have to worry that you are violating copyrights. Most are available to use either through public domain or creative commons license. Explore historical pictures and documents digitized from the NYPL's collection. Public domain. Click on the picture to access its page. Download links on the right, Citation information on the left under the picture. Explore historical pictures, maps, and more in the digital collections from the Library of Congress. Download of images is available. Citation must be created by user. Search through age-appropriate images that are already properly cited, licensed by Creative Commons, and ready for use in any class project. Background music that is royalty-free and can be used for creative projects. Search by mood, speed, genre, and more. Song must be cited at end of the project as "Title" by Kevin MacLeod (incompetech.com) Creative Commons License. Background music that is royalty-free and can be used for creative projects. Music includes instrumental, vocal, or both. Use filters to choose instrumental only or all. When downloading, citation information will be available to copy to the clipboard. Be sure to copy into a Google Doc to save for later. Access test preparation materials including books, practice tests, and more for AP courses, SAT, ACT, and other standardized tests. Search for colleges & scholarships, and prepare for career exams including real estate, military, civil service, and more. Resources for high school, college, graduate school, and career are all available through this digital resource. Family members are encouraged to the use the resource as well. \Access streaming video on a wide range of topics across all content areas. 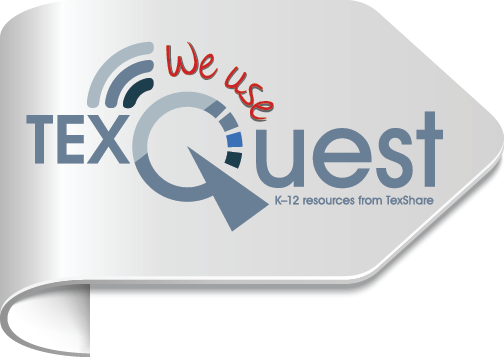 Create interactive presentation boards, access textbooks, interactive lessons, images, and more. Save and organize materials for easy access to complete assignments and projects. Access videos, interactive games, lessons, interactive mind-maps and more on a variety of topic(s) for all content areas. Search and explore articles and read different points of view on topics in American Government, American History, United States Geography, Social Issues, World Wars, World Geography, and World History (both ancient and modern). Search and explore articles, perspectives, and more on topics from the ancient world to our own modern day world. Search and explore information about states and countries. Compare countries, view videos & images showing daily life, read first-hand accounts from citizens around the world. Explore manuscripts, artwork and rare printed books dating from the earliest contact with European settlers right up to photographs and newspapers from the mid-twentieth century. Browse through a wide range of rare and original documents from treaties, speeches and diaries, to historic maps and travel journals. Access all articles and photos from National Geographic Magazine all the back to the earliest issues. A comprehensive, easily searchable, fully-indexed, and freely accessible digital library of historical sources related to the creation, ratification, and amendment of the United States Constitution. Access featured content including reference articles, news, journal articles, videos, images, creative works, critical essays, plot outlines, and more for a wide range of topics across all academic and social topics. Materials are continuously updated and vetted by reference professionals. Search various topics covering the physical, social, and economic aspects of environmental issues. Search by topic, organization, or country and access issues covering energy systems, health care, agriculture, climate change, population, and economic development.